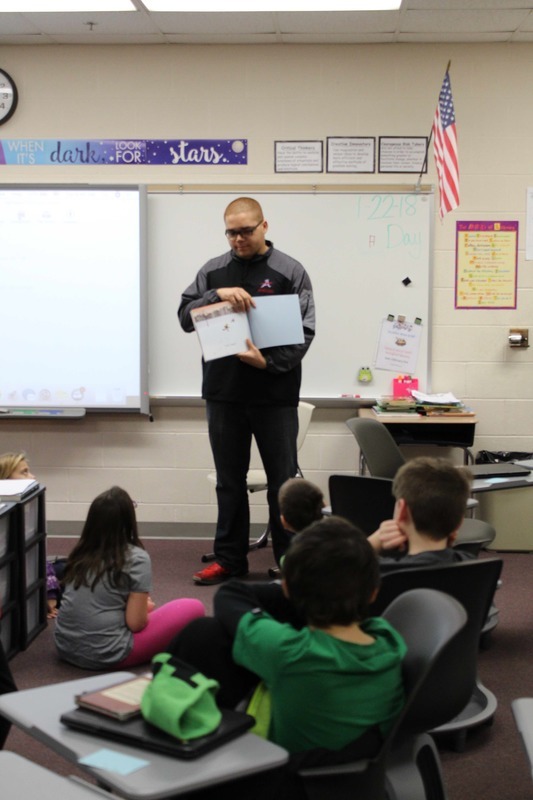 Alliance City Schools, with the help of many volunteers, celebrated National Reading Day today, January 23. The day was started by United Way several years ago as a way to emphasize the importance of reading. Students throughout the nation celebrated by stopping and reading or by listening to a book be read. At Alliance City Schools volunteers read to every class in grades k-5 at some point today. One of those volunteer groups was the 99th Squadron. The high school young men went to Northside Intermediate School and read books to the classes. 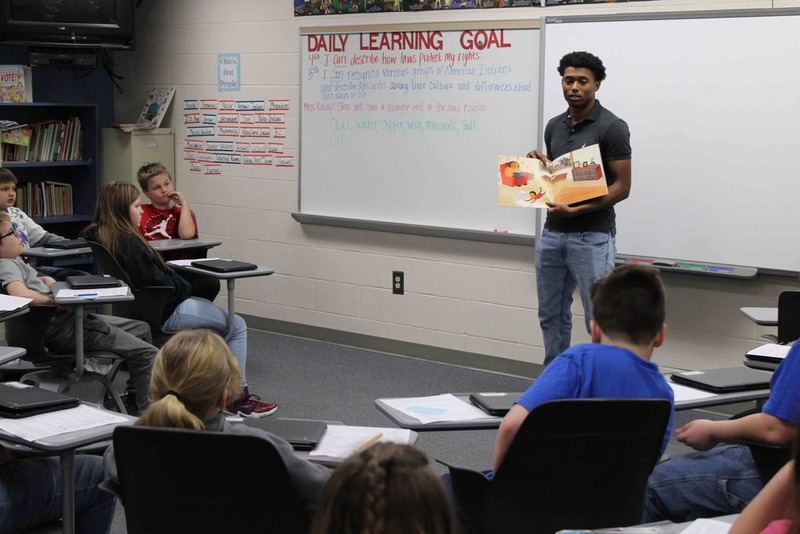 The members of the 99th Squadron who read to students include Quardell Quay, Duce Johnson, Cortaise Rogers, Marcus Davis, Austin Lilly, Anthony Young, Tyler WIlliams, Deyvon Wood, Dayshawn Deprill, Jaiden Harsh, Jeff Talbert, Nick Oldfield, Kendall Richardson, Queshawn Martin and Brandon Alexander. Parent volunteers, school board members, Kiwanis Club members and others could be found volunteering throughout the other buildings during the day. National Day of Reading is celebrated in cooperation with the Fatherhood Coalition in Stark County.